We’re seeing many homeowners and office buildings consider synthetic turf instead of grass. With the spike in demand, Steve Bollinger breaks down the pros and cons of grass vs. turf. What are the benefits of grass? It can be cooler. 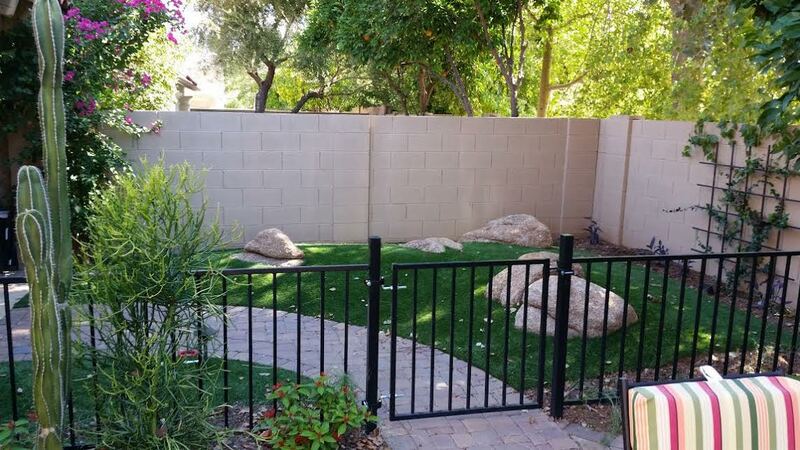 Turf is comparable to rock and concrete, so it can get hot in the summer months in Arizona. However, hosing it down prior to usage will cool the infill. The initial investment on grass is less. Turf can be expensive to install, but the ROI pays off within 2-5 years because you will have much lower watering bills and little to no maintenance. Synthetic turf can also be used to create putting greens, sport fields and more. It’s very durable and safe for children to play on and you won’t have to deal with grass stains, allergens or sand filled shoes anymore. It’s very easy to maintain, you simply use a brush or broom to sweep (against the grain) of the artificial grass every few months to help revitalize the grass blades and bring small foreign objects to the surface for removal. You can disinfect your artificial grass semi-annually to ensure it stays clean and looking great year round. 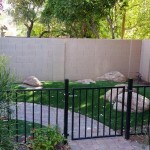 To learn more or get a free estimate for your home or business, call us at 480-483-8088.